We designed and manufactured safety breakaway buckles or connectors for easy to install. With 3/8" and 5/8" breakaway buckles available for most popular safety lanyards. You can install on your lanyards with one, two or three safety breakaways to have the multiple safety protection. Good for school, hospital, factory, or any place with extra safety required. Even single breakaway neck lanyards, you can have a choice of put your breakaway on left hand side, or right hand side , or in the back of your neck. 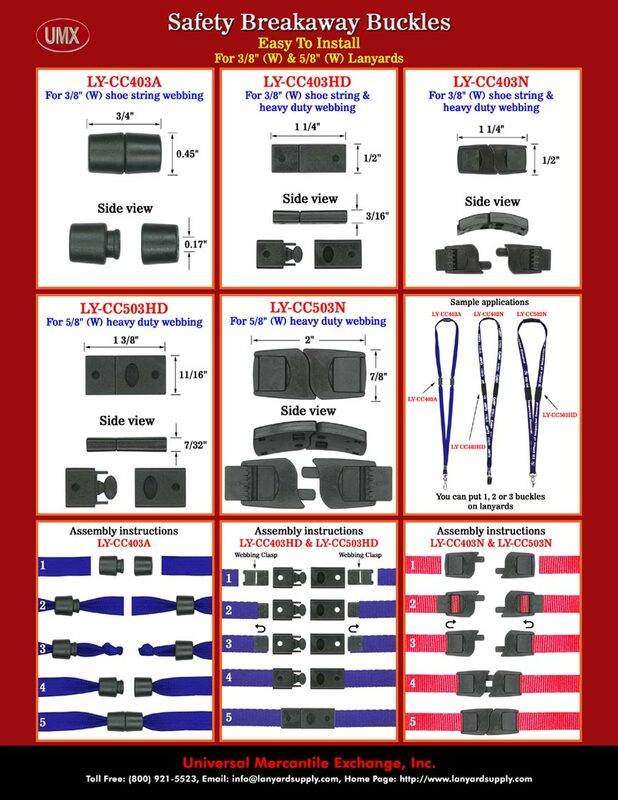 We install the following safety buckles to our safety lanyards as well as sell as parts.